Impact of working with the Pennsylvania SBDC: Excited to get their boards on the market, the Gilson Boards team came to the Bucknell University Small Business Development Center (SBDC) where they received guidance in business planning and capital formation. Building on that relationship, Gilson Boards tapped into the center’s Engineering Development Services, where they collaborated with students and faculty from Bucknell’s College of Engineering in research and product development. After months of 3D modeling, computer simulation, and analysis of their materials and unique board geometry, Gilson was ready to demonstrate their new technology on tour. 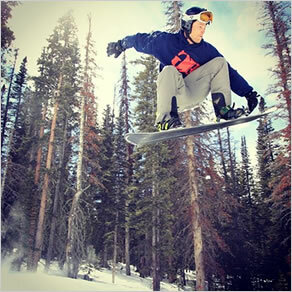 In just 45 days, over 1500 riders on slopes nationwide tested their prototypes. The feedback was overwhelmingly positive. Today, Gilson Boards has an innovative manufacturing facility on the appropriately named “Mountain View Road” near New Berlin, PA. They continue to partner with the SBDC on product development and management assistance and are members of Bucknell University’s Entrepreneurs Incubator (BUEI). Read the whole story, and learn more about the Pennsylvania SBDC and Gilson Boards.